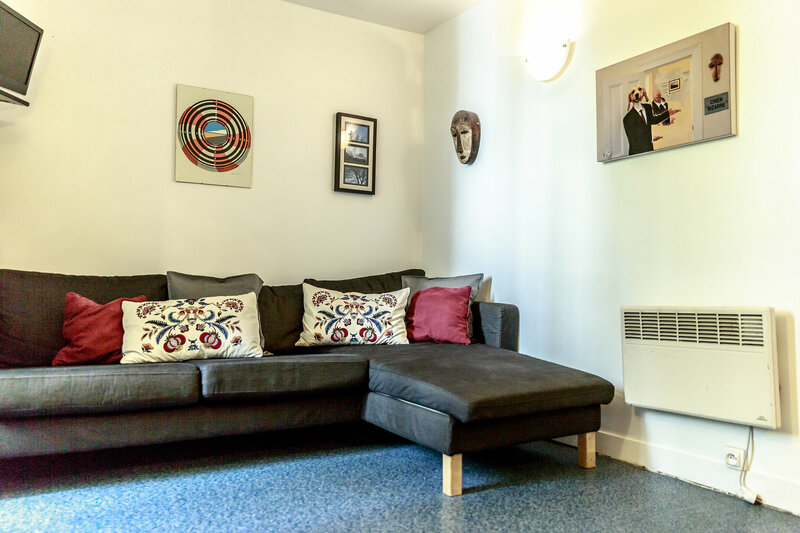 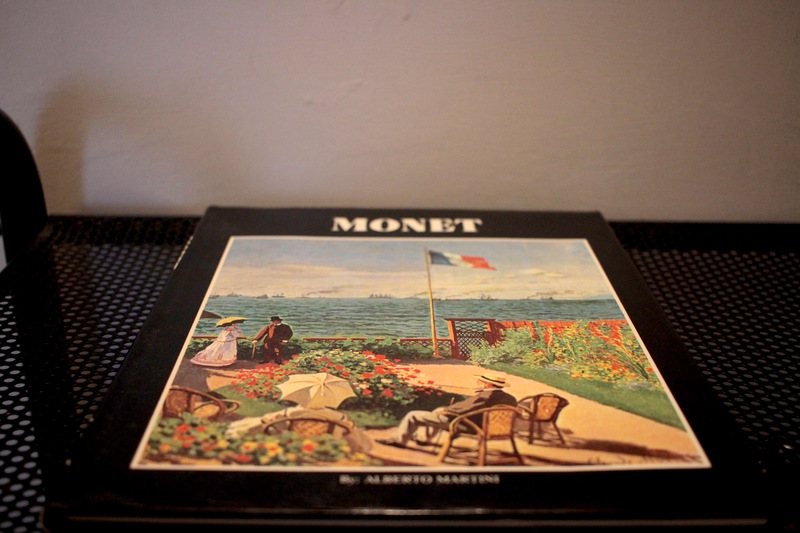 The Monet is one of our largest and most popular apartments comprising of multiple beds. 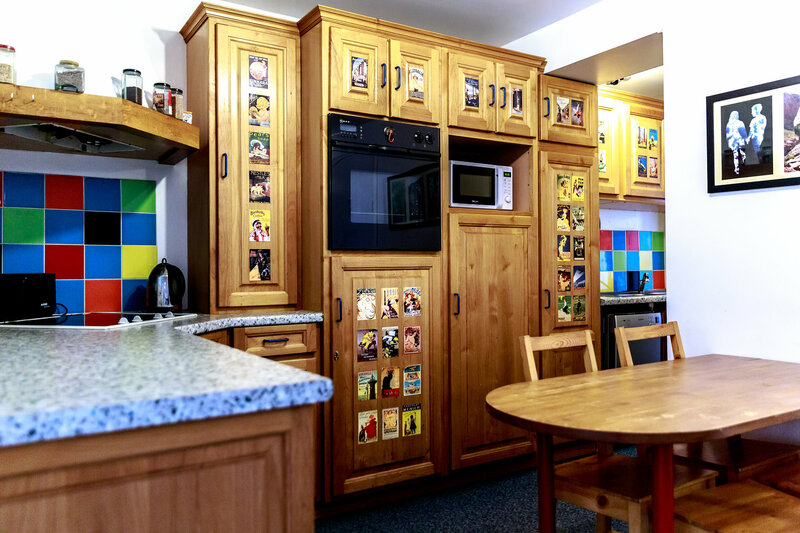 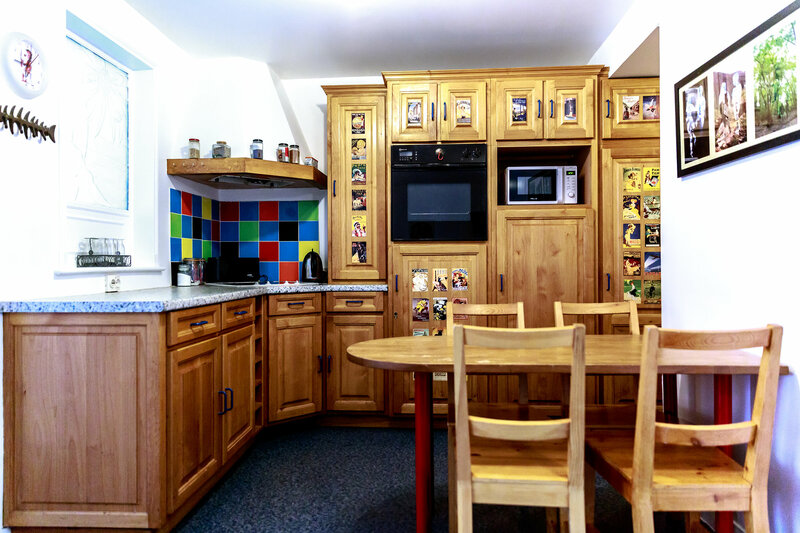 Ideal for groups or families of 6-7 people. 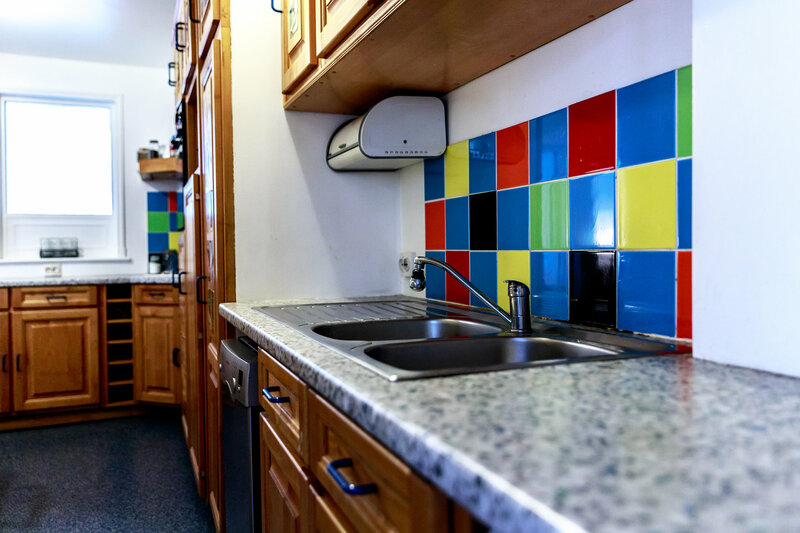 We offer a big number of bedrooms, three with one bathroom, living and dining area and kitchen. 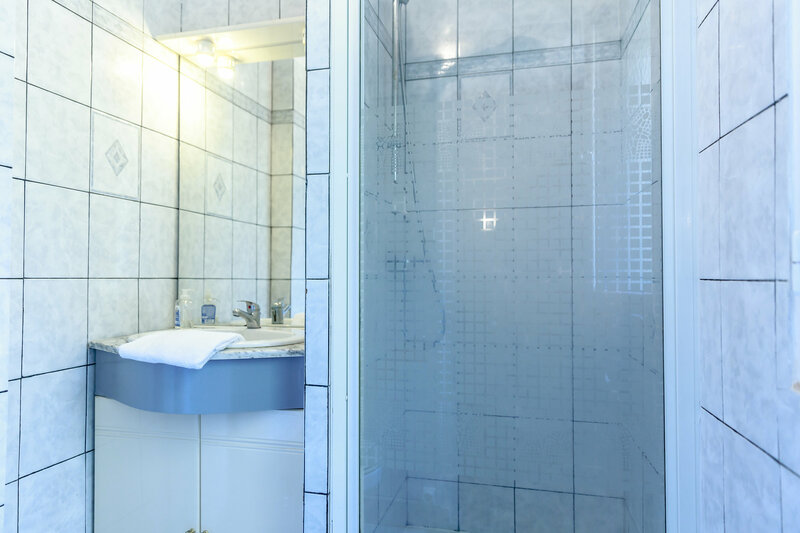 One of the master bedrooms comprises of a private bathroom. 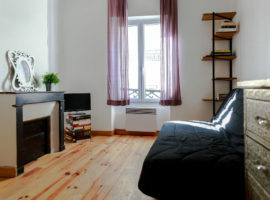 All the rooms are particularly spacious and light. 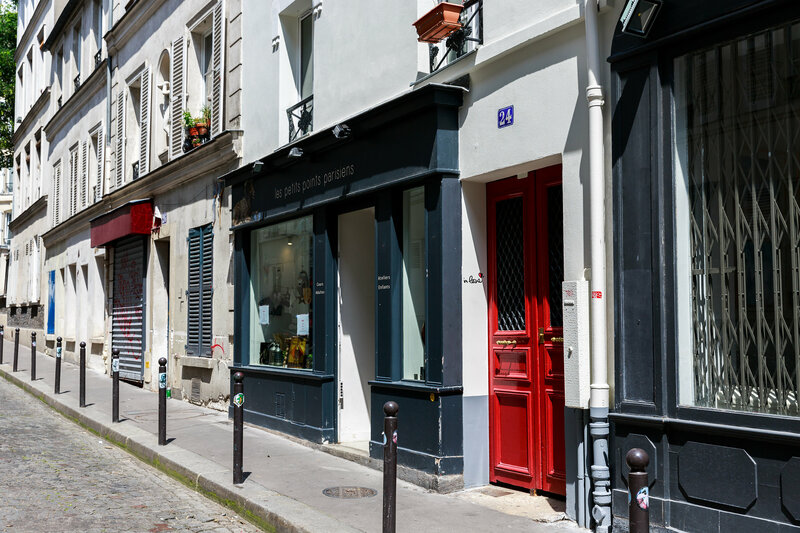 With a view on the vibrant and dynamic rue Véron. 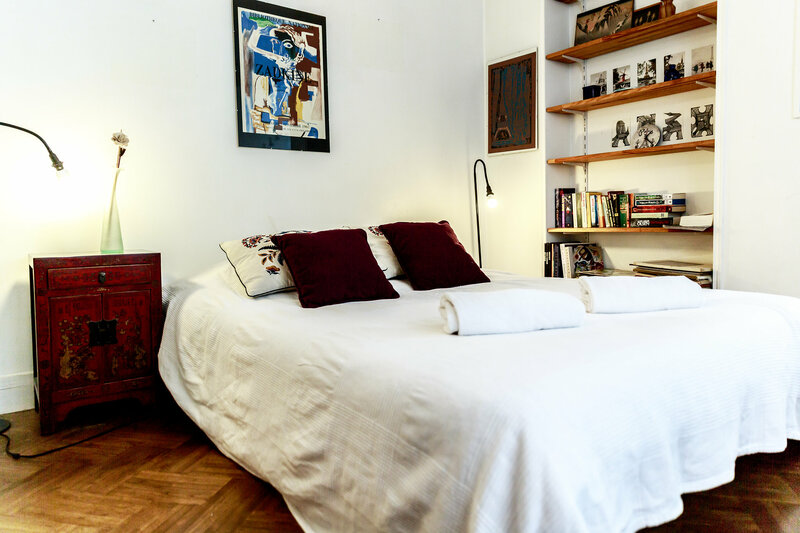 However, the house stays quiet. 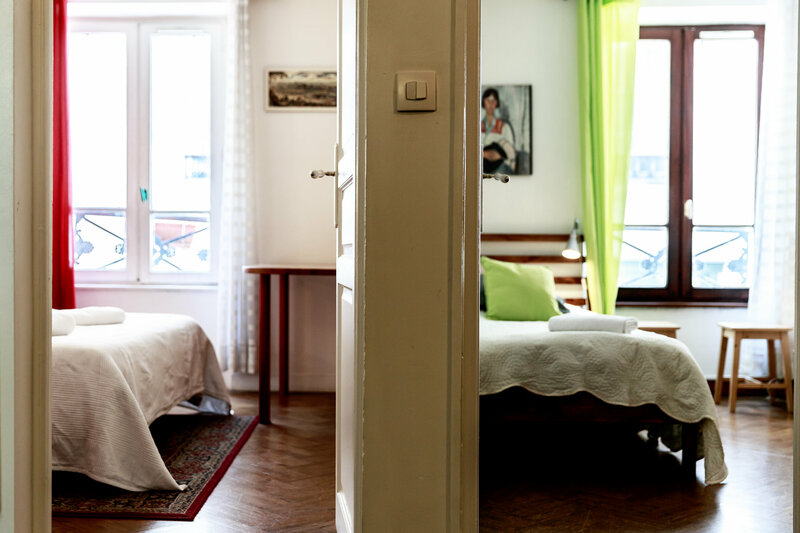 Recently renovated, the Monet is decorated in light wood giving a cosy and welcoming atmosphere. 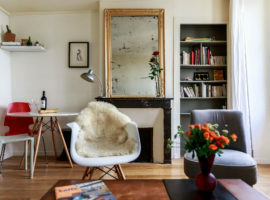 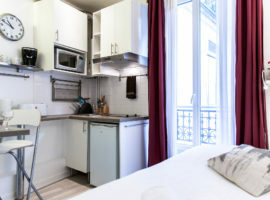 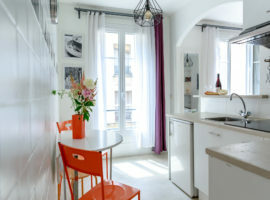 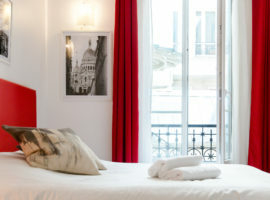 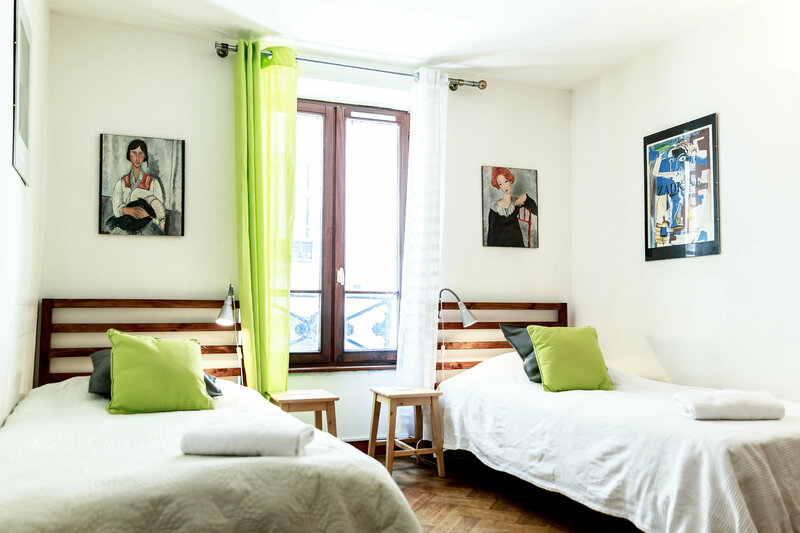 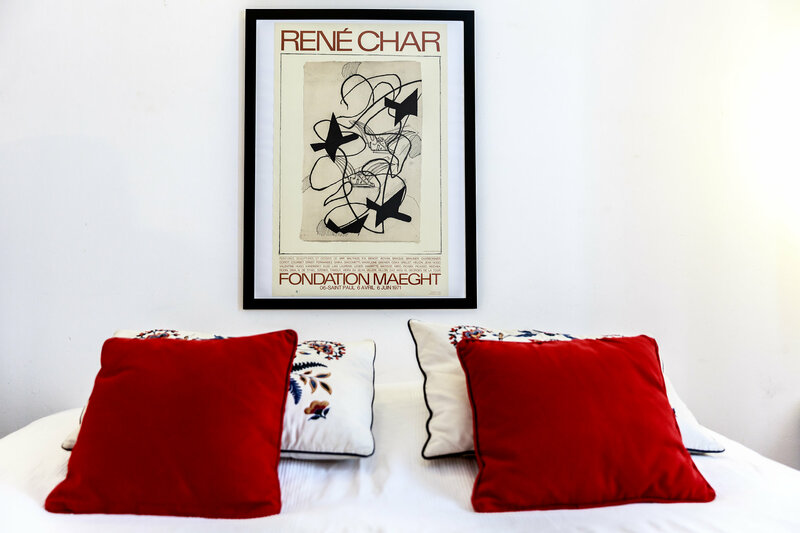 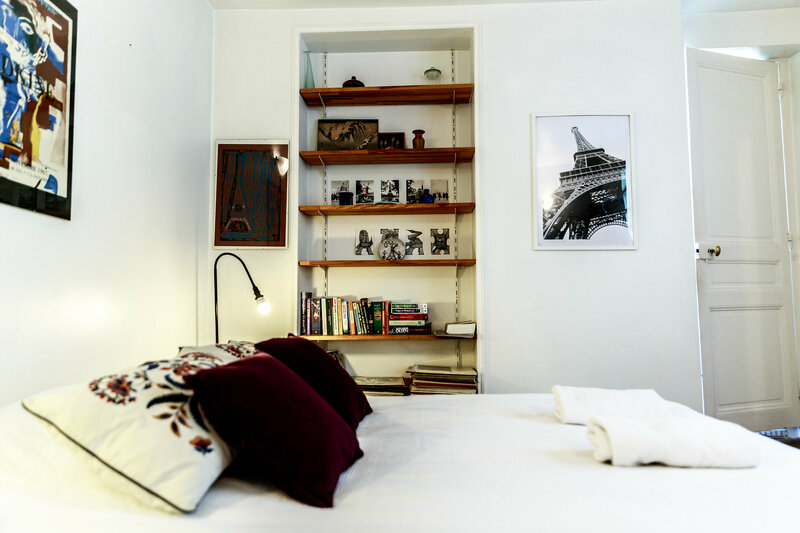 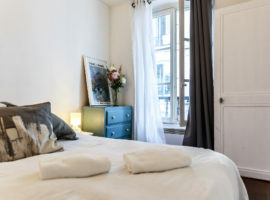 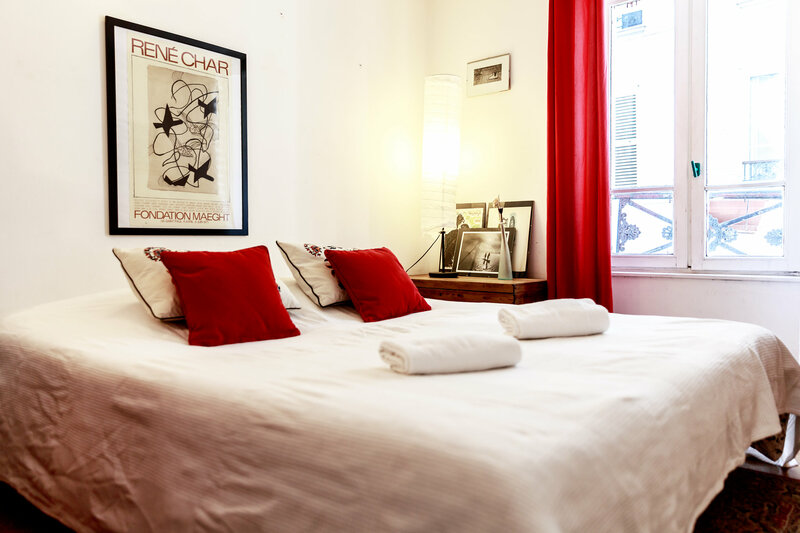 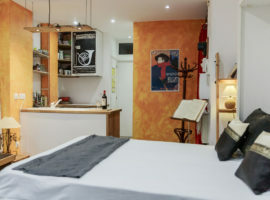 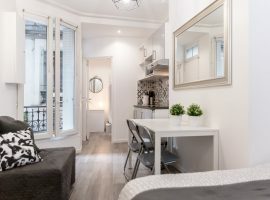 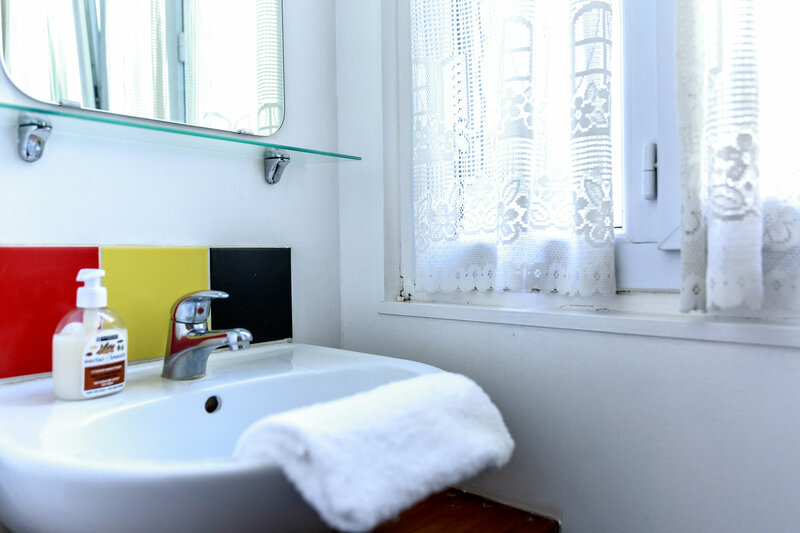 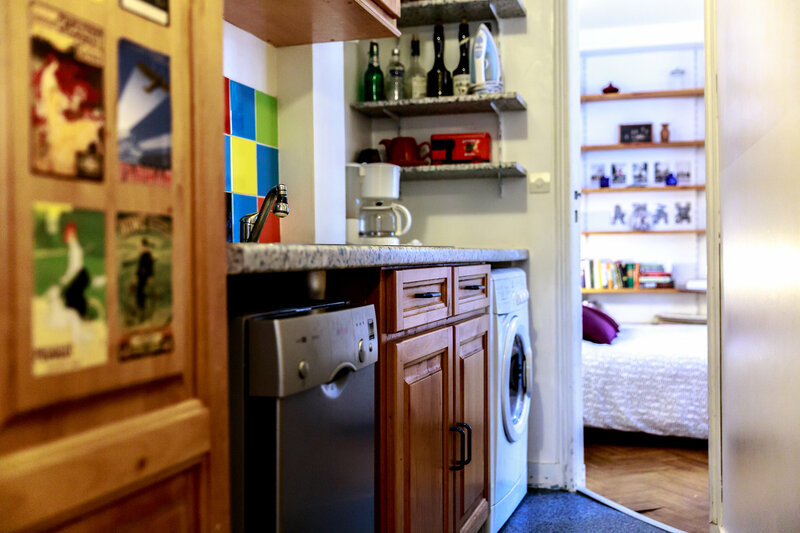 Located in the heart of Montmartre, a perfect neighbourhood for people interested by the Arts, Architecture, Music and Culture. 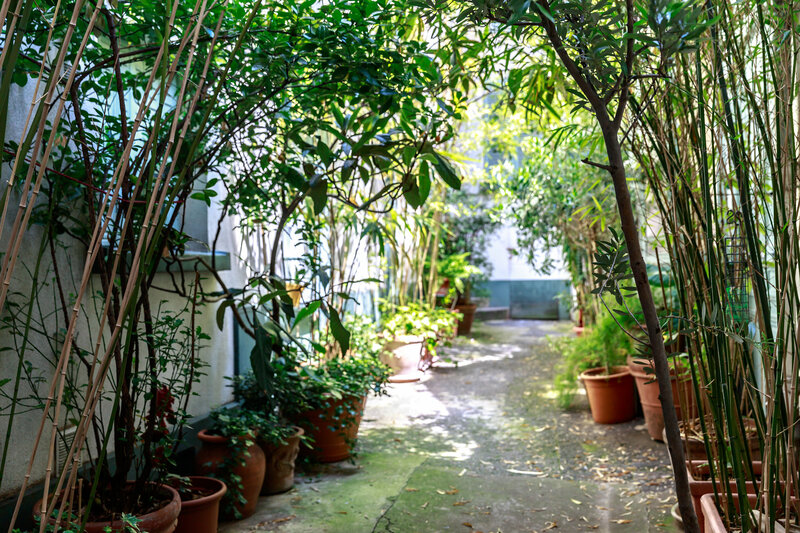 It’s the number one destination to uncover the secrets of Montmartre.